On May 28, National Public Radio informed readers of a recent acquisition by the National Archives of a letter written by Lincoln to Secretary of Treasury, Salmon P. Chase. 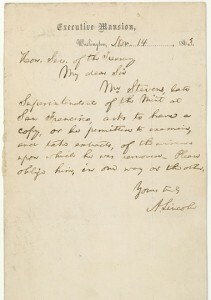 The letter was donated by Lawrence Cutler, a private collector, who waited until Lincoln’s bicentennial. 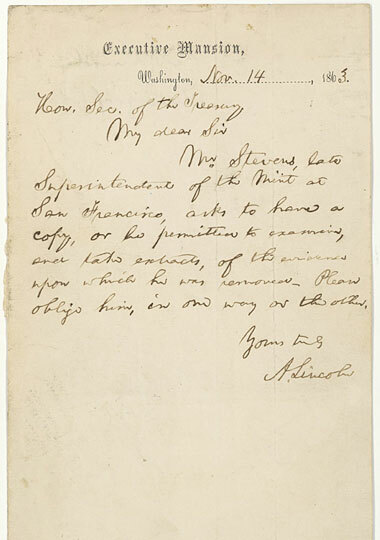 Lincoln’s brief note, written just five days before his famous address at Gettysbug, in November of 1863, is Lincoln’s request for Chase to allow the former head of the U. S. Mint of Sacremento, Robert Stevens, access to evidence to why he was fired. 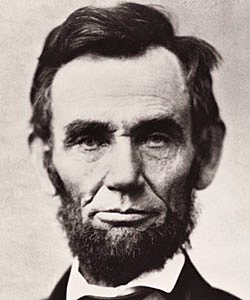 “Experts said Lincoln’s letter to Chase demonstrates the president’s fairness,” explains NPR reporter Deborah Tedford. This letter adds one more piece of the puzzle in understanding Abraham Lincoln. Susan Montoya Bryan of the Associated Press informed readers of the Dallas Morning News this morning about the opening of the Glorietta Battlefield Trail, which traces the Battlefield of Glorietta Pass, the “Gettysburg of the west.” The battle occurred in late March of 1862 and resulting in stopping an attempt of Confederate troops to move West towards Santa Fe and California, and thus trying to extend the Confederacy. 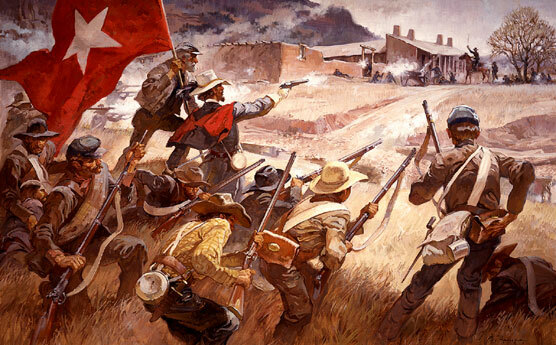 Had the Confederates succeeded in this attempt, they would have changed the whole course of the war. Finally, the National Park Service has made the battlefield available once again for safe public visitation, after years of acquiring the land needed to preserve the battlefield. This is one of many fights that the National Park Service and many other organizations, such as the Civil War Preservation Trust, have fought to preserve the precious history of our nation. As one who feels Confederate Army General James Longstreet often receives the short end of the the stick when it comes to historical recognition, I was thrilled to find an organization dedicated to revamping history’s memory of Longstreet. The General Longstreet Recognition Project created a website that lists projects and events that are planned with the intention of increasing the general public’s knowledge of this defensive mastermind. The site also offers information about membership within the project and houses a link at the bottom of the page that allows visitors to contribute financially to the venture. 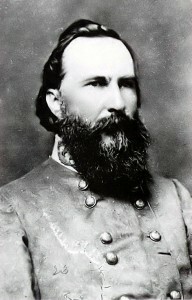 This site provides Longstreet fans the opportunity to elevate his memory to the standing it deserves. Late last year, Michael Burlingame published a two volume collection titled Abraham Lincoln: A Life. Civil War Memory, another Civil War era focused blog, has a post relating to this publication and Mr. Burlingame himself. 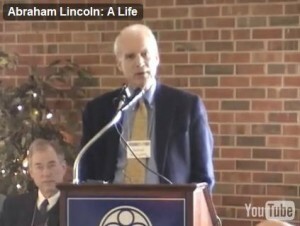 More importantly, the post contains a great video (separated into Part 1, Part 2, Part 3, and Part 4) of Mr. Burlingame speaking at Illinois College. For anyone who has used the book in a class or is interested in his work, I think watching this video would be of great value. One of the better resources on the website for the Civil War Preservation Trust are the very interesting, informative, and entertaining animated battle maps. Rather than just show the course of a battle through static maps, these flash-based animations such as Fredericksburg and Chancellorsville show highly detailed troop movements while providing all the information necessary to explain the battles. These maps are very useful for visually understanding the course of a battle. Other maps include Chantilly, Cedar Creek, and Bentonville. All are worth a look. The battle of Antietam is considered to be one of the most important battles in the civil war. Many valuable resources are scattered amongst text books, in archives, and around the web. 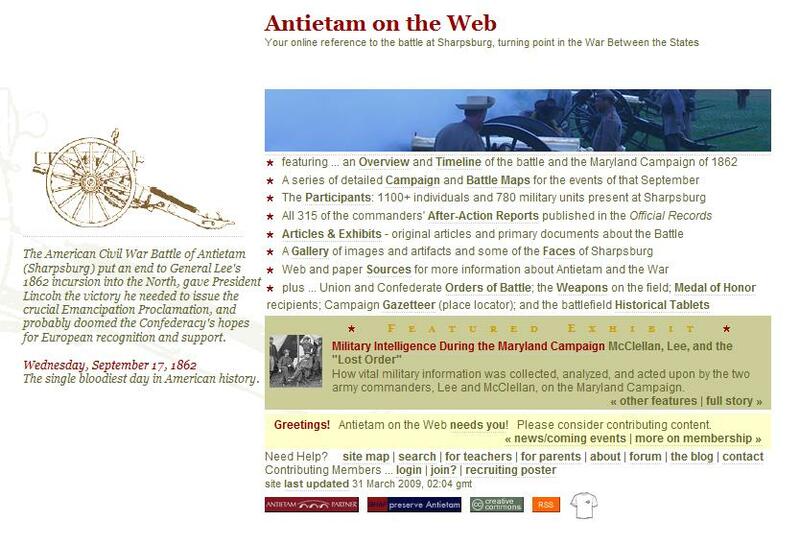 Antietam on the Web serves as a great source to bring some of these resources together in one place. Recognized by organizations such as PBS and The History Channel, the site features databases filled with information on weapons, timelines, and even a searchable participants list. The site contains great information students, as well as teacher resources. When covering this battle, I highly recommend browsing through the site. When it comes to history, preserving it is as important as learning it. I want to highlight an interesting letter that James Buchanan wrote about a week after President Abraham Lincoln’s Inauguration on March 4, 1861. 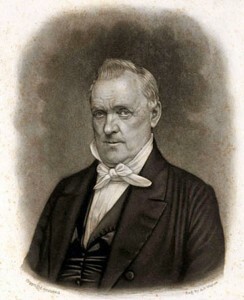 Despite four “stormy and turbulent” years in the White House, Buchanan told New York Herald editor James Bennett that ultimately “[his] administration [had] been eminently successful in its foreign & domestic policy.” Seven southern states seceded before he left office, but Buchanan believed that the crisis was unavoidable. “No human wisdom could have prevented” the “sad events [that had] recently occurred,” as Buchanan explained. Whether the Civil War was inevitable has been the subject of debate ever since, but most historians criticize his response to the secession crisis. (Historians who participated in CSPAN’s 2009 Presidential Leadership Survey ranked Buchanan as the worst Chief Executive).Yet perhaps the most interesting part of this letter is Buchanan’s confident stance about how “the public & posterity [would] judge” him. “I feel conscious that I have done my duty…& that I shall at last receive justice,” as Buchanan wrote. Buchanan also defended his role during the secession crisis in Mr. Buchanan’s Administration on the Eve of the Rebellion (1866), which you can access through Their Own Words. 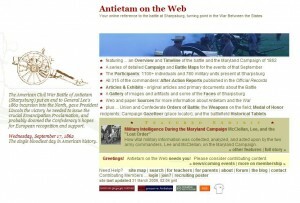 The website Civil War Interactive is a rich resource for interacting with the Civil War in the 21st Century. The site contains a variety of different pages, including a discussion board, primary source documents, articles, biographies, a cookbook, and even trivia. What I liked most is its blog page, which lists a variety of several war related blogs, and its Newswire. The Newswire has up-to-date news that relates to the Civil War, and you will be surprised in both the size and variety of the postings. Check it out and you’ll see how easy it is to get lost in this great website. “THE success of the Republican candidate for the Presidency in the United States will prove one of the greatest events of modern times” – Economist, November 24, 1860. This editorial, along with two others from 1865, were just posted in the From the archive section of the Economist’s website. This British newspaper considered the Republican victory in November 1860 as such an important moment in large part because the pro-slavery “Southern party” had finally been defeated. “The tide [had]… turned” and, as the Economist argued, it marked “the commencement of a permanent and sustained movement” against slavery in the United States. Also be sure to read this editorial on Lincoln’s assassination. Some might be surprised at the conclusion that Lincoln’s death would affect more than just Americans – “It is not merely that a great man has passed away, but” as the Economist explained, “he has disappeared at the very time when his special greatness seemed almost essential to the world.” While the Economist has other editorials available on a variety of subjects, including President Franklin Roosevelt’s New Deal, only subscribers can access them.